MILWAUKEE, Wis.—CLEARWING Productions, a nationally renowned full-service production company, deployed a stunning HARMAN Professional Solutions audio and lighting solution made up of JBL Professional loudspeakers, Crown amplifiers and Martin lighting fixtures this week at Summerfest 2018. Known as “the world’s largest music festival”, Summerfest features over 1,000 performances across 11 stages and attracts nearly one million people annually. In order to provide premium audio and lighting for the world’s top music artists, CLEARWING Productions deployed full HARMAN Professional Solutions rigs at multiple stages across the festival, including the groundbreaking JBL VTX A12 loudspeakers, and the newly-released Martin MAC Encore fixtures. On the Harley-Davidson Roadhouse Stage, CLEARWING deployed a complete JBL audio system featuring 20 VTX A12 line array loudspeakers, 12 VTX S28 and 12 VTX G28 subwoofers, and four VTX V20 line array loudspeakers for fills. Four VRack 4x3500HD and four VRack 12000HD power amps from Crown powered the rig. The lighting rig featured eight Martin MAC Encore Performance fixtures and six MAC Quantum Wash fixtures to illuminate performances by Social Distortion, Buddy Guy, Cheat Codes and more. On the Uline Warehouse Stage, CLEARWING deployed a complete JBL audio system featuring 18 VTX A12 line array loudspeakers, 12 VTX S28 and six VTX G28 subwoofers, and eight VTX V20 line array loudspeakers for fills. Four VRack 4x3500HD and three VRack 12000HD power amps from Crown powered the rig. 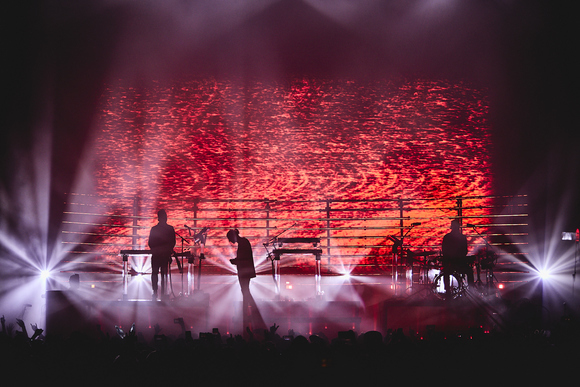 The lighting rig featured eight Martin MAC Encore Performance fixtures and six MAC Quantum Wash fixtures to illuminate performances by Plain White T's, The Neighbourhood, Gin Blossoms and more. 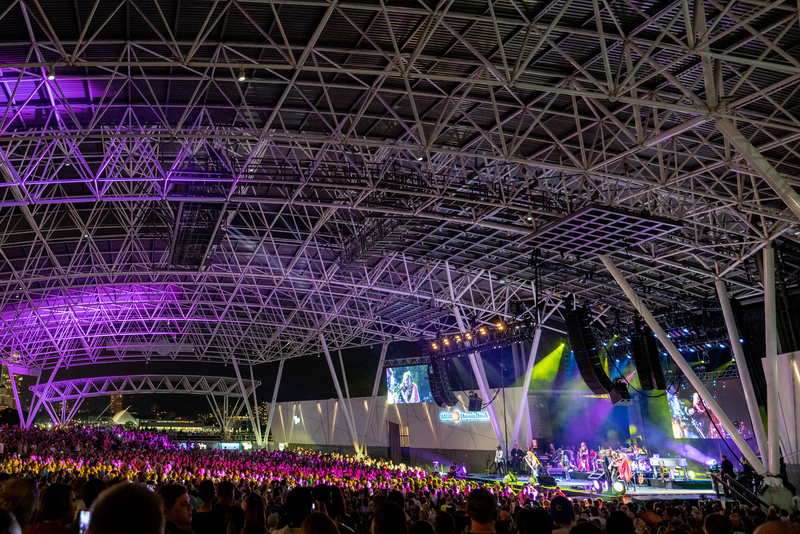 On the BMO Harris Pavilion Stage, CLEARWING deployed a complete JBL audio system featuring 20 VTX A12 line array loudspeakers, 18 VTX G28 subwoofers, and 16 VTX V20 line array loudspeakers for fills. Four VRack 4x3500HD and four VRack 12000HD power amps from Crown powered the rig. The lighting rig featured eight Martin MAC Encore Performance fixtures and six MAC Quantum Wash fixtures to illuminate performances by Pat Benatar, Steven Tyler, Cheap Trick and more. On the JoJo's Martini Lounge Stage, CLEARWING deployed a complete JBL audio system featuring eight VTX V20 line array loudspeakers and six VTX S25 subwoofers. Two VRack 4x3500HD power amps from Crown powered performances by The Screamin' Cucumbers, Kings of Radio, The LoveMonkeys and more. In the American Family Insurance Amphitheater CLEARWING deployed a complete Martin lighting solution featuring 20 VDO Sceptron 10 video fixtures, 20 VDO Fatron 20 video battens, 24 RUSH MH 10 Beam FX fixtures and 12 Atomic 3000 LED strobes to illuminate performances from James Taylor, Halsey, Dave Mathews Band and more. 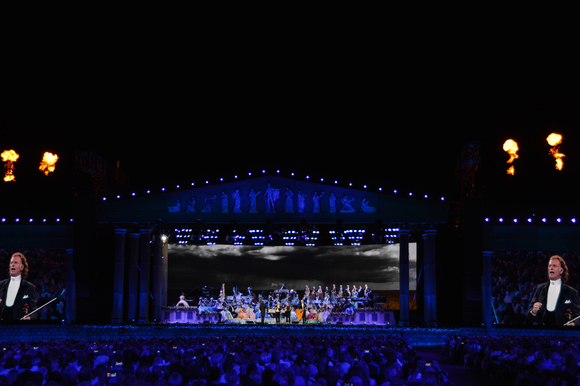 “HARMAN continually provides outstanding sound and lighting solutions for the greatest performers in the world, and we’re very excited about our continued partnership with CLEARWING that positions our products at the world’s largest music festival,” said Andy Flint, Vice President of Live Entertainment at HARMAN International.